The Distributed Proofreaders site is scheduled to be completely unavailable between 3 pm and 8 pm server time on Sunday 22 April 2018 as we upgrade to a new Operating System. The update is not expected to take a full 5 hours. If checks are completed early, the site will return sooner. Thank you for your patience. As you wait for Distributed Proofreaders to become available again, please feel free to browse through the excellent articles in this Blog. Update 6:10pm: Site is back up and operational, thank you for your patience! Update 5:00 pm: Still proceeding as planned. Update 4:00 pm: Proceeding as planned. Update 3:00pm: Maintenance has started. The Distributed Proofreaders site is scheduled to be completely unavailable between 7 pm and 1 am server time starting on Wednesday 21 June 2017 as we upgrade to our forum and wiki software. The update is not expected to take a full 6 hours. If checks are completed early, the site will return sooner. We’ll keep this blog post updated with progress during the outage. You can also find us in the pgdp Jabber conference room (pgdp@conference.jabber.org) and on Facebook. 7:05 pm – Work has started and the site is in Maintenance Mode. 8:00 pm – Forum database migration (first phase) continues as expected. 9:00 pm – The second phase of the forum database migration is in progress. 10:00 pm – Update still in progress. 11:00 pm – Still continuing. 12:30 pm – Site is back up and operational; thank you for your patience! The Distributed Proofreaders site is scheduled to be completely unavailable between 10 am and 10 pm server time on Sunday 5 March 2017 as we upgrade to a new Operating System and move to a different server and hosting service. The update is not expected to take a full 12 hours. If checks are completed early, the site will return sooner. Update 6:35pm: Site is back up and operational, thank you for your patience! Update 3:51 pm: Still proceeding as planned. Update 11:58 am: Proceeding as planned. Update 10:09 am: Maintenance has started. www.pgdp.net will be down for scheduled maintenance to upgrade the forum software starting Saturday September 12th at 2pm US Eastern. The site should be up again by 8pm US Eastern. During this time the site will be completely unavailable. Please note that although the scheduled outage period is six hours, the expectation is closer to four hours. We’ll keep this blog post updated with progress during the outage. You can also find us in the pgdp Jabber conference room (pgdp@conference.jabber.org). Update 2:03pm: Maintenance has started. Update 3:00pm: Forum conversion progressing as expected. The system is working through 830k forum posts at the moment. Update 4:00pm: 80% done with the forum posts then the system starts on the 300k private messages — we’re a chatty bunch! Update 5:00pm: The forum posts are behind us and we’re half way through the private messages. Update 5:59pm: Database conversion is finished and we’re now busy doing final forum configuration changes and tweaks. Update 7:02pm: We’re almost done and are putting the finishing touches on it now. We expect to have it completed and the site up well within the next hour. Update 7:46pm: Site is back up and operational, thank you for your patience! Distributed Proofreaders is on Twitter! Now you can keep up with DP’s milestones, new blog posts, and other news. Just follow @DProofreaders to stay in the know. Our OS Upgrade/Server Migration is now complete. Because we have moved to new hardware and a newer version of the operating system, there may be some minor issues left to resolve. If you encounter anything unusual, please let us know in this thread. If you’re having trouble reaching the site, please try clearing your cache, removing cookies for pgdp.net, and/or restarting your browser. Thanks to all the squirrels for their assistance in making this major transition happen, and thanks again to our volunteers for waiting patiently while we accomplished this task. Please check on the DP forums over the next few days for a post with additional details and information once I’ve returned from being on-site. As of 7pm EST Thursday, the new server is in place at the hosting site and squirrels other than donovan have been able to access the system and begin the last stages of configuration, tweaking, validation, etc. So far, the majority of the site is functioning as expected, with the exception of the wiki, possibly the mailing lists, and some mail functions. Our current focus is to ensure that all the back-end infrastructure is in place and correctly configured. 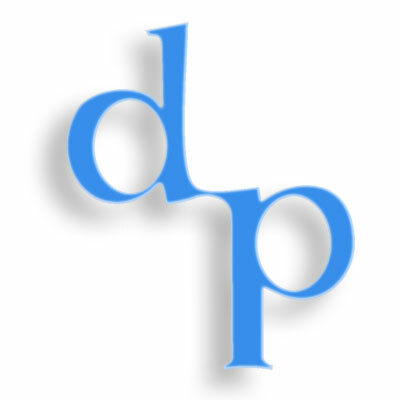 We’ll continue to provide updates on our progress and expect DP to be back in business fairly soon. Thanks again for your patience! We’re definitely getting closer! You are currently browsing the archives for the Notices category.